In all the glitz , glamour, and excitement of your wedding day, whether it is simple or elaborate don't forget the solemnity of the ceremony itself. 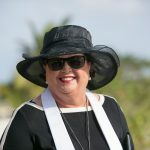 At Simply Weddings, once you have booked your wedding I will be in touch with you about the ceremony. 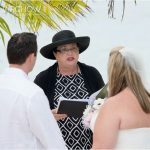 Usually I will send you one of our standard ceremonies, and a list of readings so we can begin to personalise the actual ceremony. If you want to compose your own vows and read, or say them from memory, that's fine with me. As a Civil Registrar of Marriages, aka Marriage Officer, I am required by law to do a couple of things. I have to ask you whether there is any reason why you may not be lawfully married to this person. I have to ask each of you in turn whether you take this person to be your wife/husband. The purpose of this is to make sure you are coming to the marriage of your own volition, and not because you're being coerced. 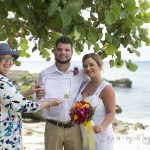 I have to pronounce you to be husband and wife in "accordance with the laws of the Cayman Islands, and by virtue of the authority vested in me." I don't have to say to the groom, "You may kiss the bride! ", and I don't say it. Instead I turn to the groom, call him by his first name and say, "You may kiss your wife!" I think this phrase is so significant, and I enjoy saying it...it is the first time your fiance is being referred to as your wife. Sometimes I get asked if I have ever stopped a wedding ceremony. Not yet, but I have come very close to stopping several. For example, if either party is inebriated to the point that I believe they cannot understand the questions I have to ask, then I wouldn't complete the ceremony. Not so long ago I had a bride who wept uncontrollably. I had to tell her that unless she got her emotions under control I could not proceed with the ceremony. Fortunately this doesn't happen often and the tears I see are tears of joy. I really appreciate it when couples want to be involved in choosing the words of their wedding ceremony. You can be as creative as you like. 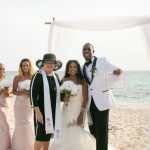 Your Cayman Islands wedding ceremony can be as unique as your love, with words that are particularly meaningful to you. 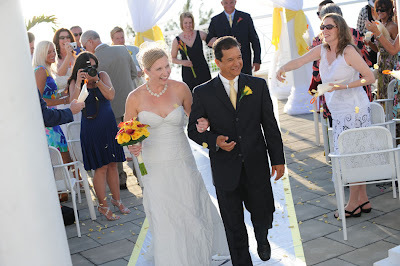 Call me to plan your Cayman Islands wedding today, (345)9499933.